Hi everyone! I'm the happy new owner of a 98 1000f (firestorm here in Canada). Absolutely loving the noise and the torque. I've got a suspension question that I'm hoping someone here would have an answer to. My vtr seems ...squirrely on slow speed turns. Left and right. Occasionally feels like it wants to fall in, and front end just seems fidgety compared to everything else I've ridden. Definitely better at fast(er) corners, but still not confidence-inspiring. Rode a friends zx today (much newer, 2006) and it felt incredibly stable in comparison - and confirmed that it's definitely not me gripping the bars too hard etc. 1) I have not set sag yet. Intend on doing this soon. Apart from items above, is this a typical characteristic of these bikes? Or does mine have an issue that needs to be corrected? Any and all input is much appreciated! Pic of said front tire please (might see a specific wear pattern). 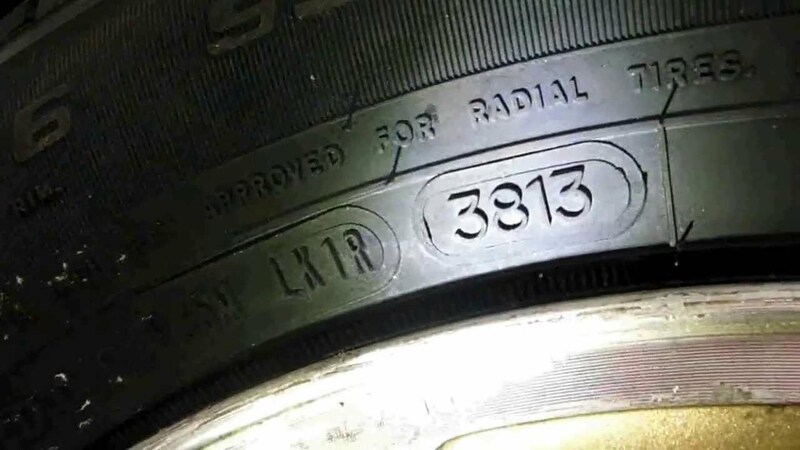 What kind of tire is it and can you find the date code? I once rode a co-workers 929 stunt bike. It was amazing how much it wanted to fall over in turns. Felt like I had to hold it up. The front tire was fugly and I've never experienced that feeling since. captainchaos, thank you for the reply! not sure why - but I didn't even think about tire pressure... brain just skipped that and assumed something serious. Will check first thing in the morning. Will have a good laugh at myself if that was the cause haha. Wolverine, thank you - will post a picture in the morning. I believe the tires are metzeler sportec m1 ...which a quick internet search shows may be old. Here's a few examples of what to look for. How far down the tripples are the forks? Are the steering stem bearings O.K ? Just some random thoughts ! I'm going with tires as the main issue. Not to say there couldn't be other fixing to be done. The symptoms seem consistent with ***** rubber. The symptoms seem consistent with ***** rubber. Sorry about the late response everyone - however the rear tire has me concerned. I can't find a similar marking on the front, but am going to assume the worst. Definitely time for fresh rubber if so. Yeah, 48th week of 2003 ... yeesh. Tire shopping time! Have any idea's on what you want? I don't actually... any recommendations? I'm not passionate about pushing what I've found works. The Bridgestone BT016 is a sweet tire (front). I run a BT023r to get more miles from it. Little harder but I have no rear grip issues. I've never ran Michelin on the VTR but would like to try them. If I could sway you, at all, I'd say stay away from Conti's (personal experience) and Shinko. Also, the Michelin Pilot Road 4's I have on the Ducati are NOT idea for sporty riding. I regret getting them. The grip level just isn't what I want in a tire. Get the new Dunlop Roadsmart 3, and report back. That will be the next tire I purchase. To revive this thread - got a sweet deal on Dunlop Sportmax Q3s, so went with those. Wanted to mount them myself - so using the correct set of tools and two more sets of hands I got them mounted up. First impressions - I think something is a bit off with my rear wheel installation. Spacers/other parts are mounted correctly, and axle nut is torqued to spec - however I get a very minor clunk when shaking the wheel EDIT forward and back by hand. Didn't get to enjoy the ride home because I wasn't willing to explore the limits of the strange play. I'm 99% sure it didn't exist prior to pulling the rear wheel. Is it definitely wheel bearings, or would you guys say there could be something wrong with install? Last edited by 2.5i; 08-22-2017 at 02:54 AM. All great choices of rubber. I've almost always used Mich Pilot Power 2CT's, and have Road 4's (2CT's), on my ZX14R, best I've ever used for all conditions. Wheel bearings normally present as play side to side, not rolling the wheel forwards and back. There are cush-drive damper rubbers between the drive sprocket and the wheel and these certainly lose their elasticity over time and can perish as well. I'd look there for looseness. Thanks Cadbury64 - I will check check the rubber dampers! I can't wait to take the bike out for a good ride with these tires. Another update. Wheel bearing on drive side was toast. Replaced all the rear bearings and Cush drive dampers - and while the bike was being worked on checked the front end. It appears steering neck bearings may be worn as well, passing centre to either side there's a slight transition bump... perhaps this also contributed to the weird sensation I felt on low speed turns. I've ridden it now for a couple hundred miles but definitely feels like I'm wrenching just as much haha. On to steering bearing replacement I go. Edit: kenmoore called it in a post above haha. Glad to see your making progress ! Also appears that you may be getting a mild case of OCMD ! Keep going and you will find out that these bikes respond well to some fettling. I just did a 1400klm ride on mine to a Moto Guzzi rally and it validated why I like this bike soooo much. 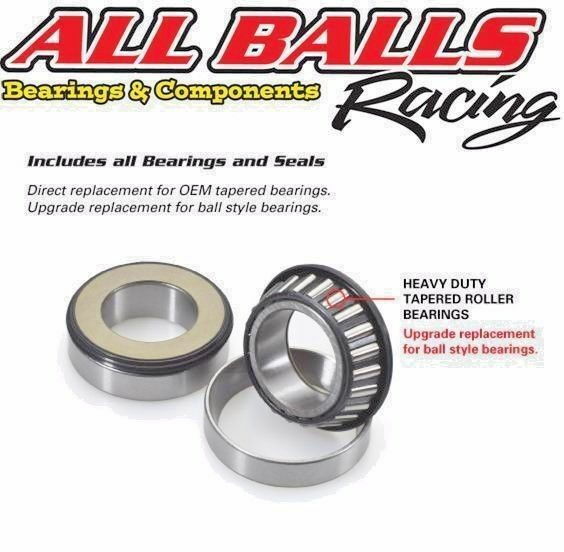 Let us know how you get on, tapered stem bearings are the go! passing centre to either side there's a slight transition bump... perhaps this also contributed to the weird sensation I felt on low speed turns. I've ridden it now for a couple hundred miles but definitely feels like I'm wrenching just as much haha. On to steering bearing replacement I go. Install a set of tapered bearings and be done with it. Don't forget when installing them the lower seal is not attached to the bearing like OEM, so you have to drop the seal on the stem FIRST, then press the bearing on. Adjust bearings for zero free play but no preload, err on the side of just a hint of preload and you will still be fine. Be ready to readjust in a 1000 miles as lots of folks dont seem to get them installed fully and as the bearings seat you get "new" freeplay. Thanks for the responses everyone! 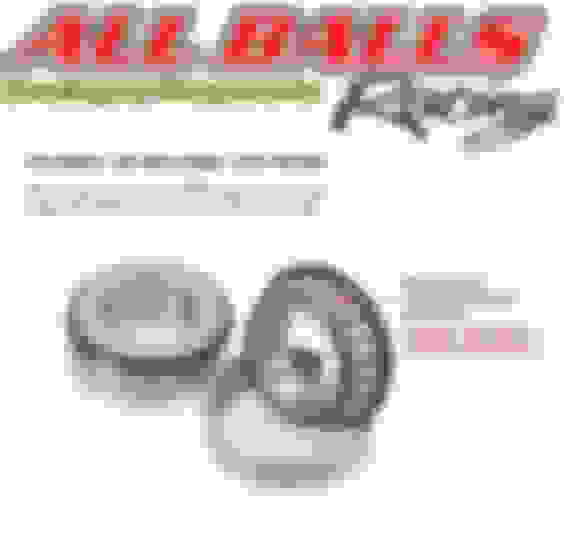 Just ordered the allballs kit thinking about making a race removal tool with some conduit (copying the park tool Design)... will update! All ***** are a marked improvement over standard . I have had 2 sets in my bike , one with the standard set up and one when I did my USD conversion. 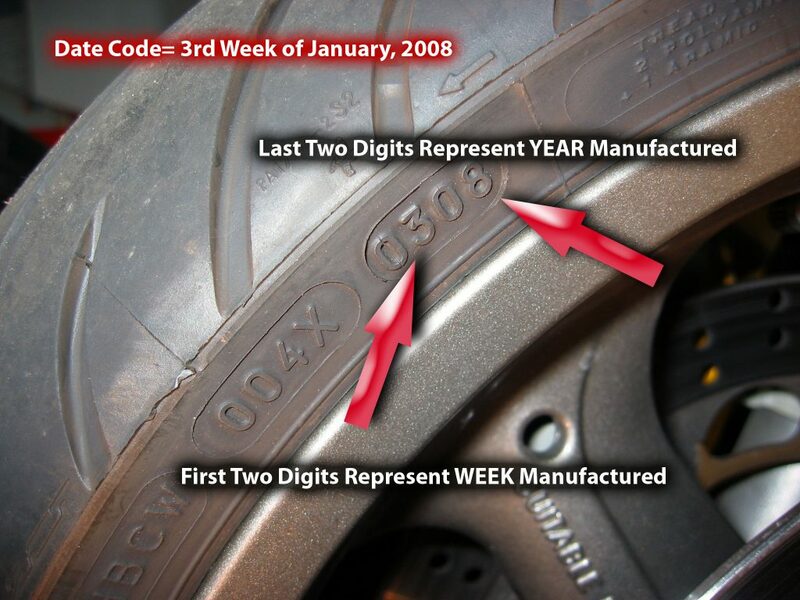 Make sure that you check them after about 500 miles , they will need retensioning. The home made version from conduit works......ONCE or so. 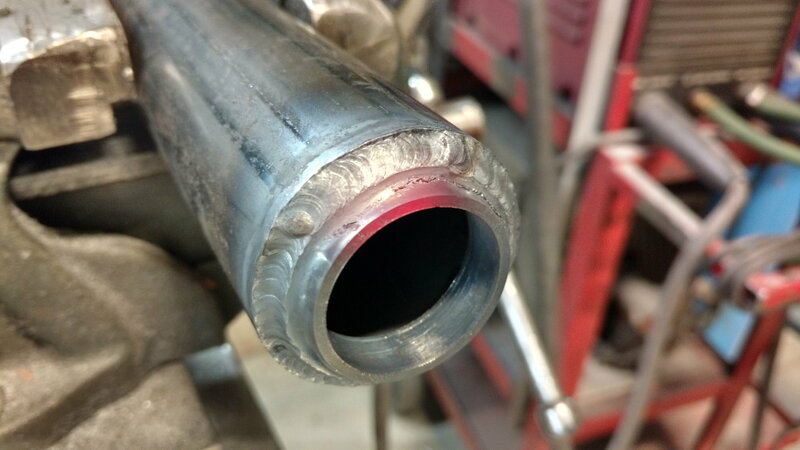 the conduit steel deforms easily, does not maintain the "spread"... Bout it does work.. If you will only do one set of bearings, make the tool and toss it when your done... But know a long race punch works as well. I use and recommend the Motion pro tools for the job if your wanting a better tool for motorcycle use. Steering bearings replaced! Made a tool to help press on the stem bearing that ended up being helpful. Getting the stem bearing off was not easy. Everything is torqued up now and I'm going to charge a new battery I purchased overnight tonight. Looking forward to a test ride Saturday morning ! To me, that right there is purty! Perhaps a weird request but can an experienced suspension guy call me?! Quick Reply: New guy, old suspension?